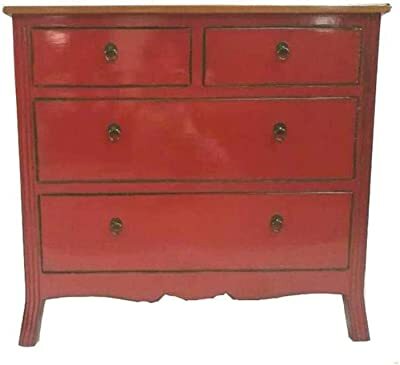 Dispatched from and sold by Devoted2Home. 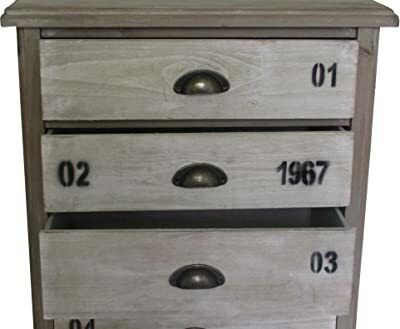 Standard delivery is to any UK mainland addresses (with the exception of the following postcode pre-fixes: PA, PH, AB, IV and KW). 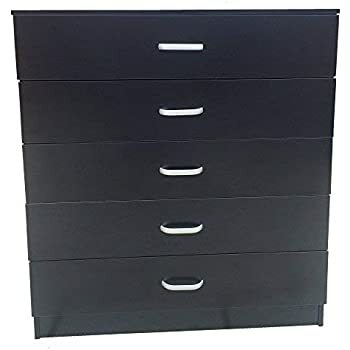 For delivery to any of the previous exceptions listed or to a UK Island, Nothern Ireland or Rep. Ireland please contact us for a price of delivery. 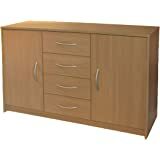 We also reserve the right to cancel any orders to a non-standard delivery address. 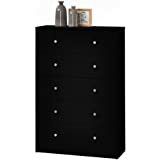 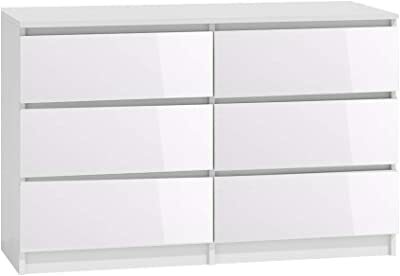 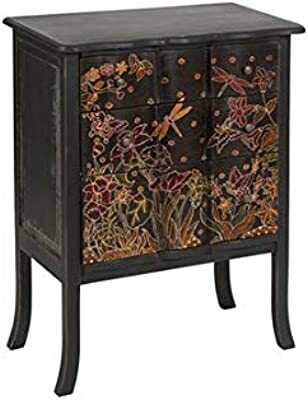 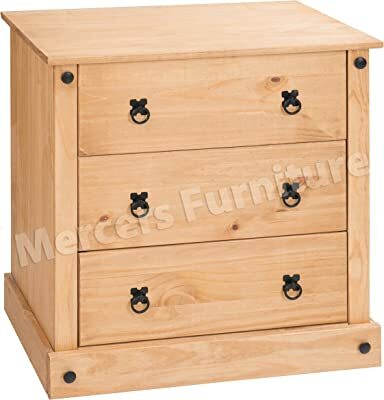 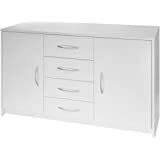 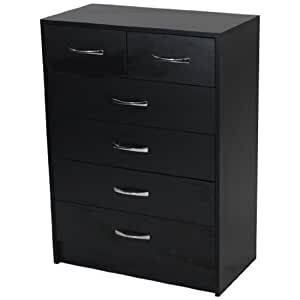 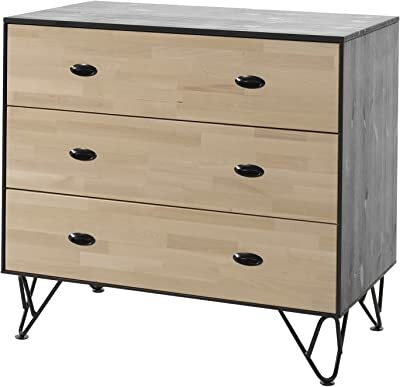 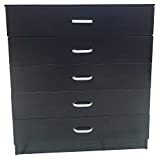 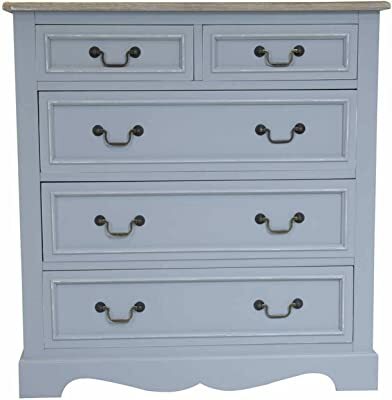 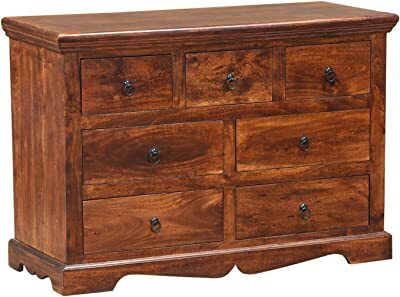 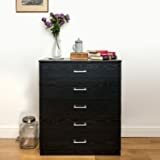 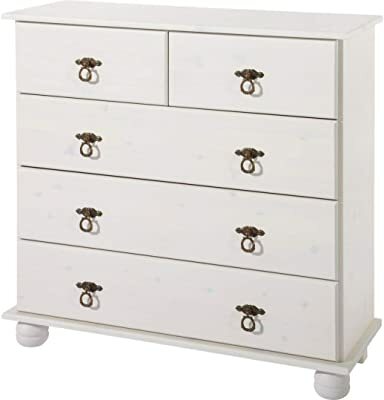 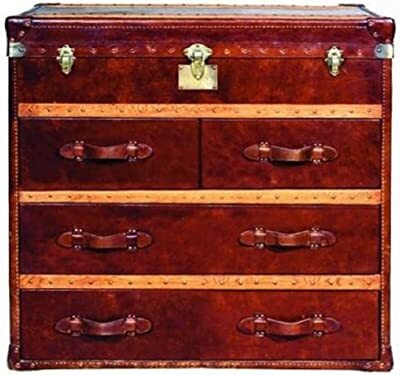 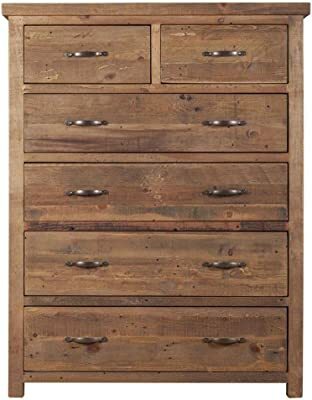 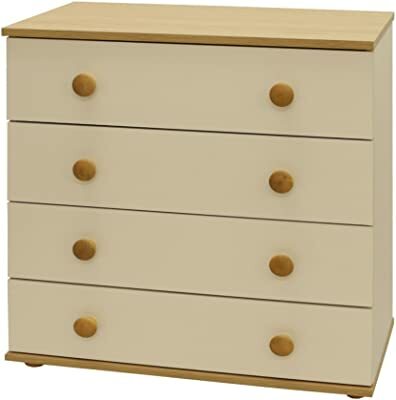 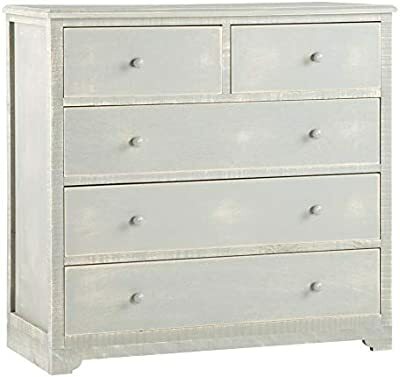 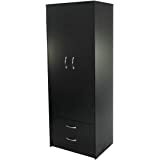 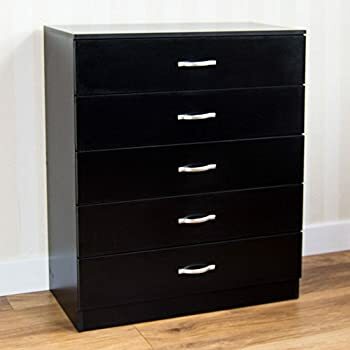 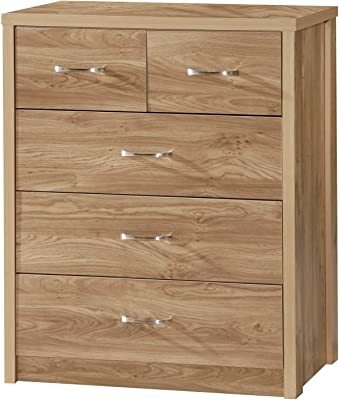 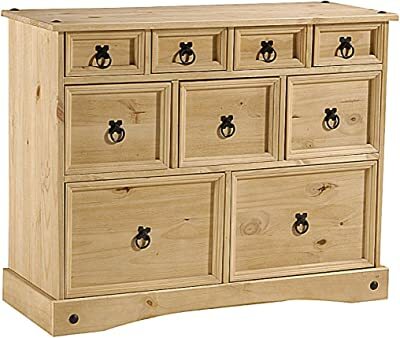 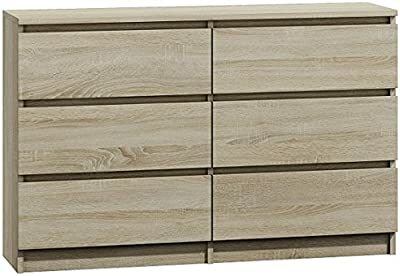 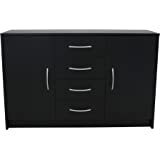 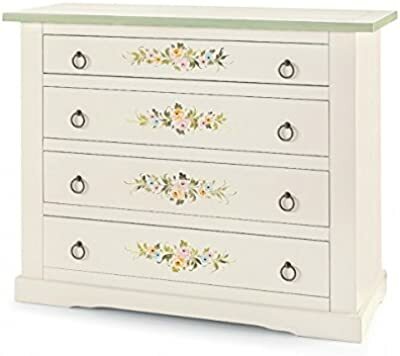 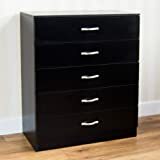 Home Treats Chest Of 5 Drawers Beech Bedroom Furniture. 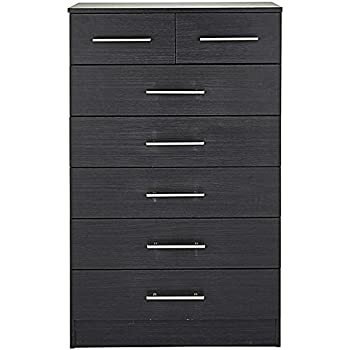 Anti-Bowing Clothes Organiser For Any Room. 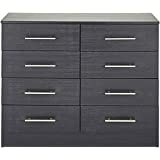 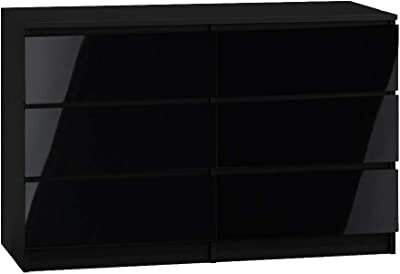 This exciting piece of furniture is part of the Woldsea range which comes in two colours; black and maple. 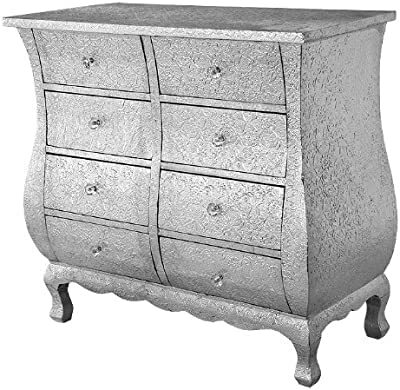 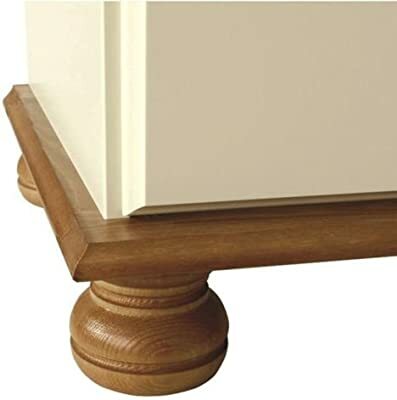 Along with the silver handles and boxed in plinth foot, this makes this the perfect range for any bedroom.